Enjoy Monument Valley Tribal Park on the Navajo Nation on a two-day, overnight tour from fabulous Las Vegas. This private, guided tour explores Monument Valley, Navajo culture, Lake Powell overlooks, Zion National Park scenic drive, and views of Glen Canyon Dam. Monument Valley is the home of the Navajo, so prepare for a tour that is rich in history and culture. The Monument Valley Private Overnight Tour departs the Las Vegas strip between 6:30am and 7:30am and returns the next day between 7:30pm and 8:30pm. Please call 702-458-0000 to book this tour. Immediate non-refundable deposit of $150.00 is due at time of booking and will be applied to the final balance. The final balance is due 7 days prior to tour departure. The final balance is non-refundable. Cancellations made more than 7 days prior to tour departure will forfeit $150.00 deposit. Our vehicles are designed to carry up to 13 passengers on individual captains’ seats, and groups range from 8-13 passengers. Our guides have many years of experience in leading tours throughout the American West. Their knowledge and enthusiasm will ensure that everyone gets the most from each destination. The hotel near Monument Valley will be 2-3 stars. The accommodation has been chosen to give passengers the best access to the National Park area. For those traveling alone there are single occupancy rates available. This tour offers a wide range of walking opportunities, which require a reasonable level of fitness mostly due to possible elevation changes. The level of activity can be suited to and catered for almost all levels of fitness. It is not an activity holiday, just an active holiday. Individual luggage must be kept to a maximum of one piece of luggage less than 50 pounds or one daypack less than or equal to 40 litres. It is recommended to travel with a small day pack for easy access to camera, sunblock, and clothing. Most hotels can arrange to store bulky items pre-tour. We advise our clients to pack as lightly as possible. Temperatures at Monument Valley vary by season. We recommend our guests bring jackets in the event of changing weather patterns. Post tours packages are available through your travel agent. Travel insurance is a vital aspect to booking a holiday, giving you protection against unforeseen circumstances that could otherwise spoil your holiday. It is important that you purchase travel insurance that properly covers your participation in whatever activities you may undertake at the time that you make your booking. Due to the developing tourism industry in the area changes can and do occur in this type of program. Weather conditions, sometimes severe enough to limit where we can drive or walk, can also alter the program. As visitors, we will respect this, and remain flexible and open to local conditions, safety concerns and unforeseen opportunities. Our guides will do their best to keep things on track and in the event that our schedule changes, they will try to keep disruption to a minimum, consider your wishes and organize other options as far as it is reasonable and practical to do so. After departing from the Las Vegas Strip, your DETOURS guide will travel through the Mojave Desert eventually crossing over state lines into Arizona. You will have the option to enjoy lunch in Kanab, UT or Page, AZ. 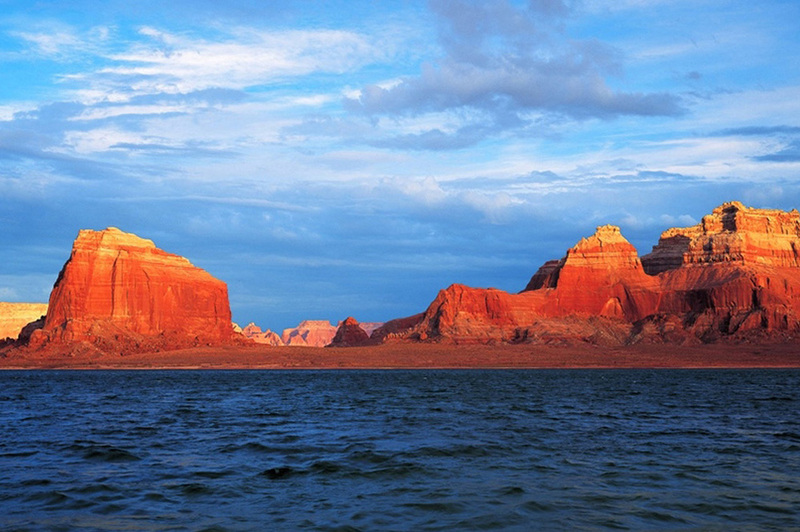 After lunch, there are many scenic options including Lake Powell overlook for a photo stop, or Glen Canyon Dam and Visitor Center. In the afternoon, the tour will take you to Navajo National Monument Ruins and/or the Shonto Trading Post in the Navajo Nation. The second day of this guided tour will allows for three hours exploring the magic of Monument Valley with Navajo tour guides. After experiencing Monument Valley, there will be time to visit any stops you weren’t able to see yesterday like Lake Powell or Glen Canyon Dam. Your DETOURS guide will return to the Las Vegas Strip at approximately 8:00pm. A $150 non-refundable tour deposit is due at the time of booking. This deposit is included in the tour’s final price. No, but we can assist with post-tour accommodations for additional cost. What hotels do we stay at? The hotels will be 3-4 stars. The accommodation has been chosen to give passengers the best access to the surrounding areas.